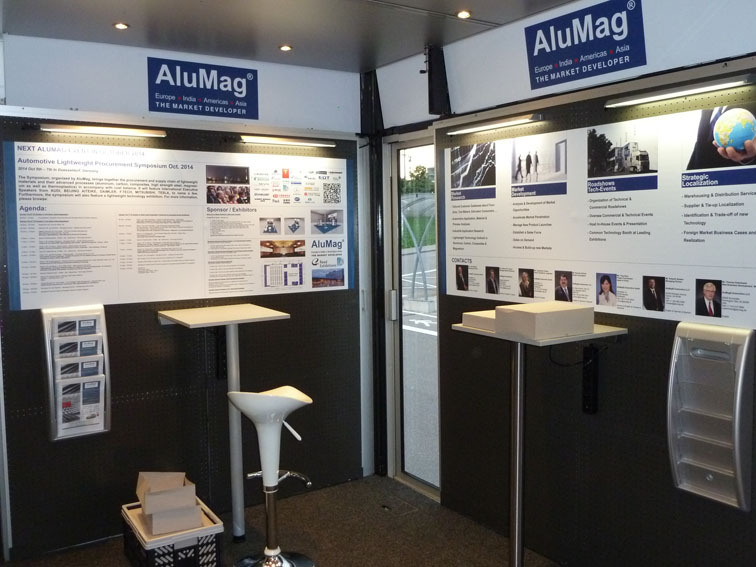 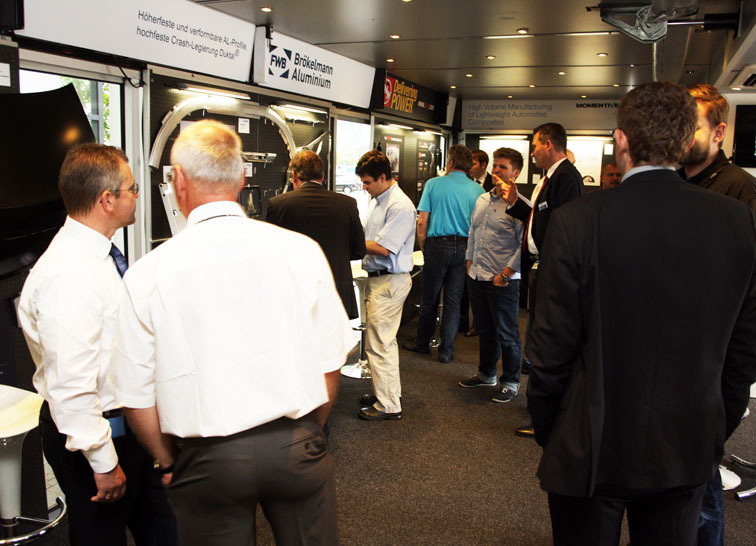 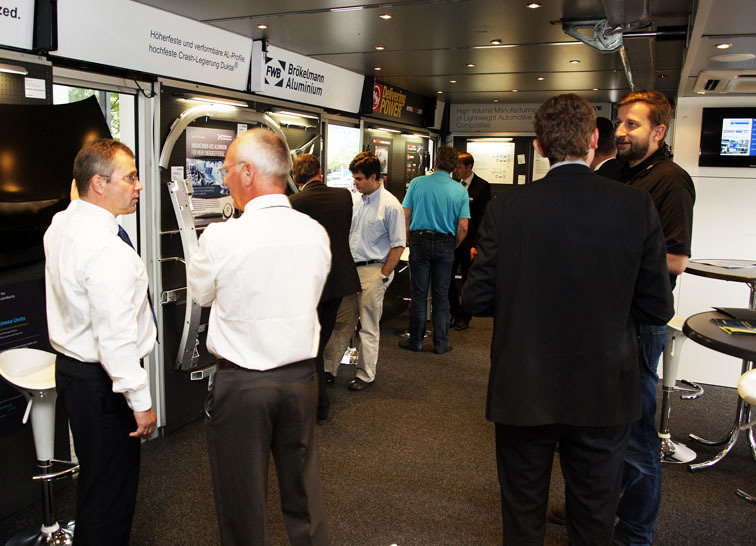 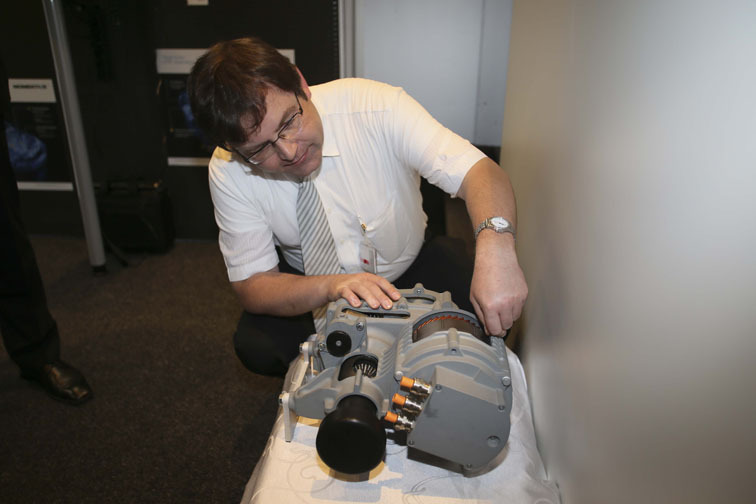 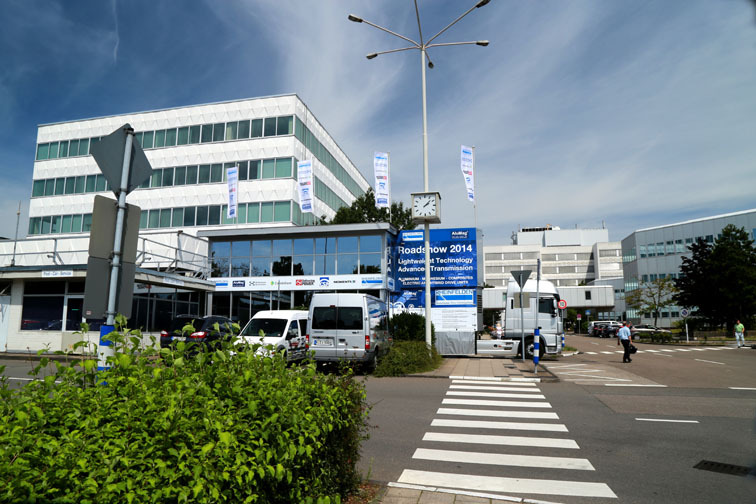 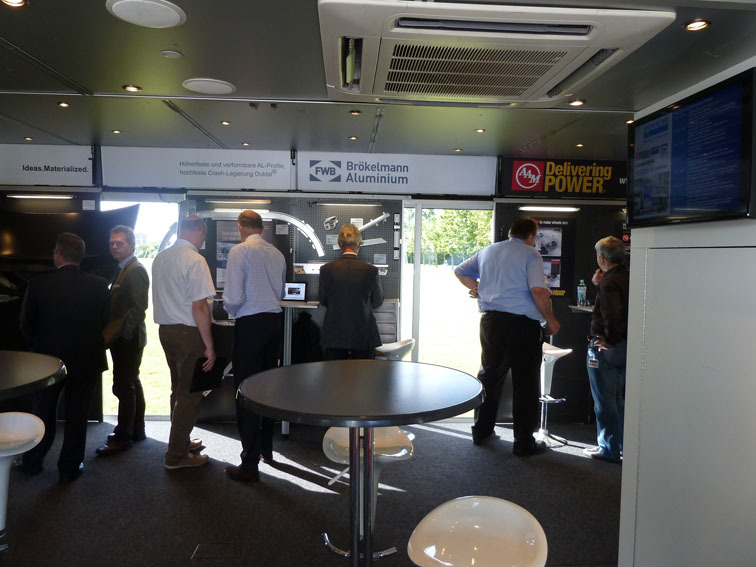 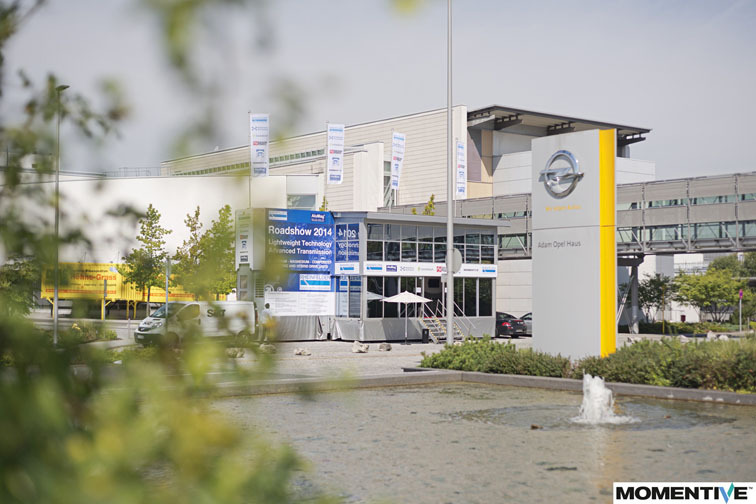 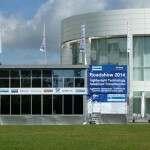 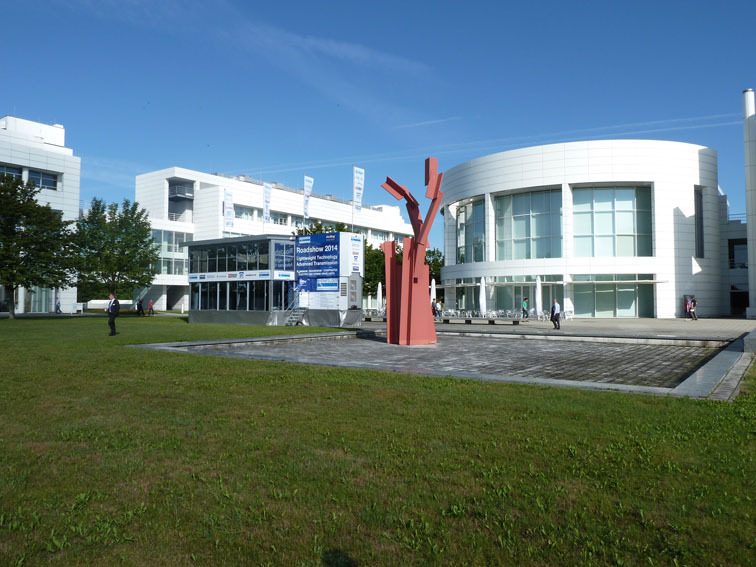 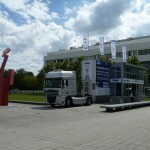 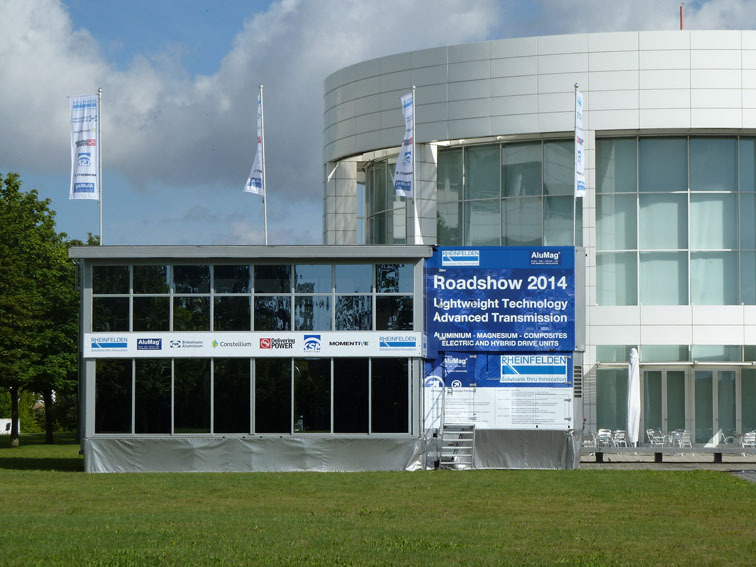 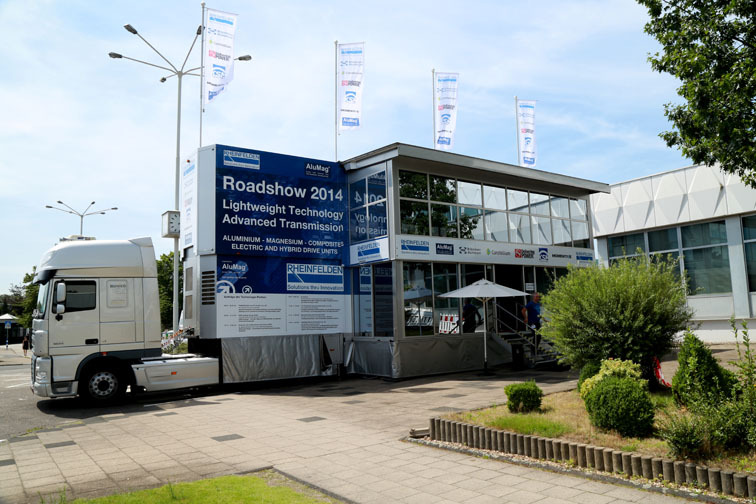 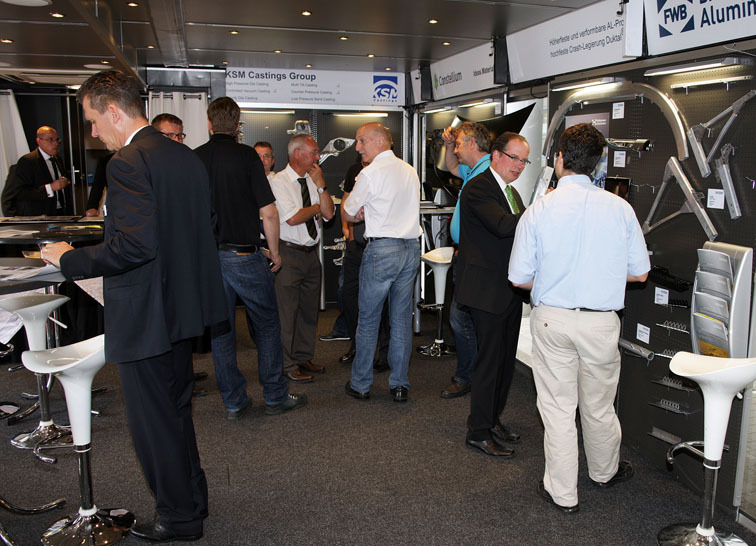 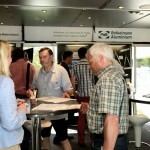 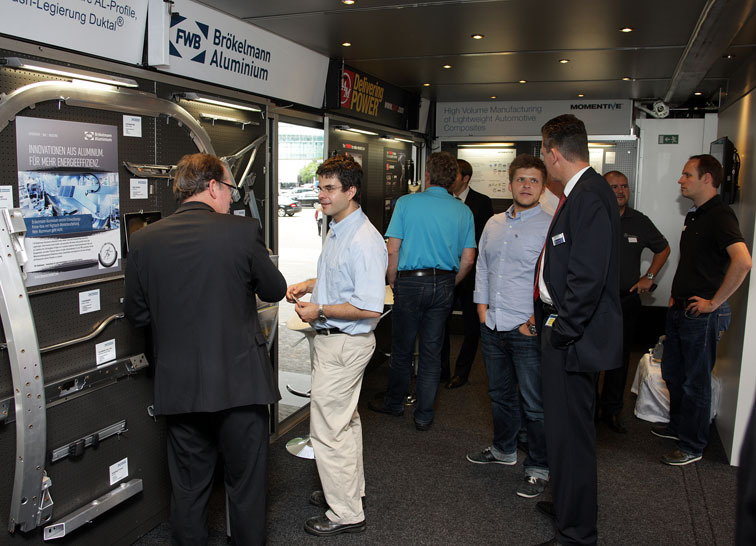 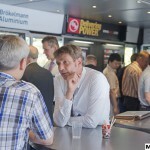 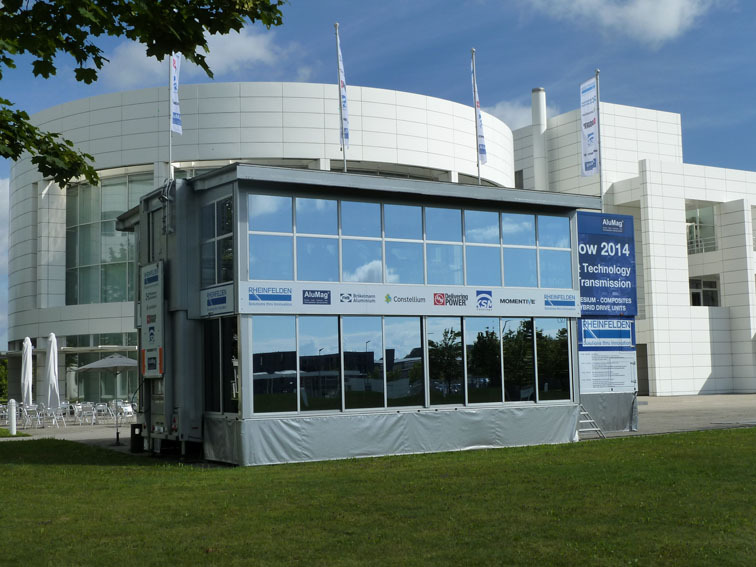 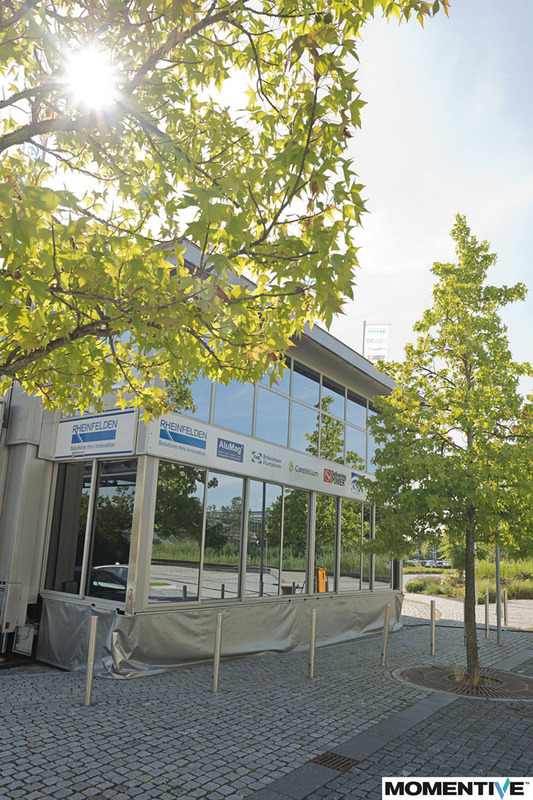 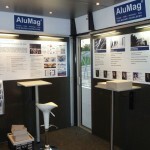 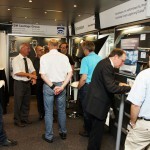 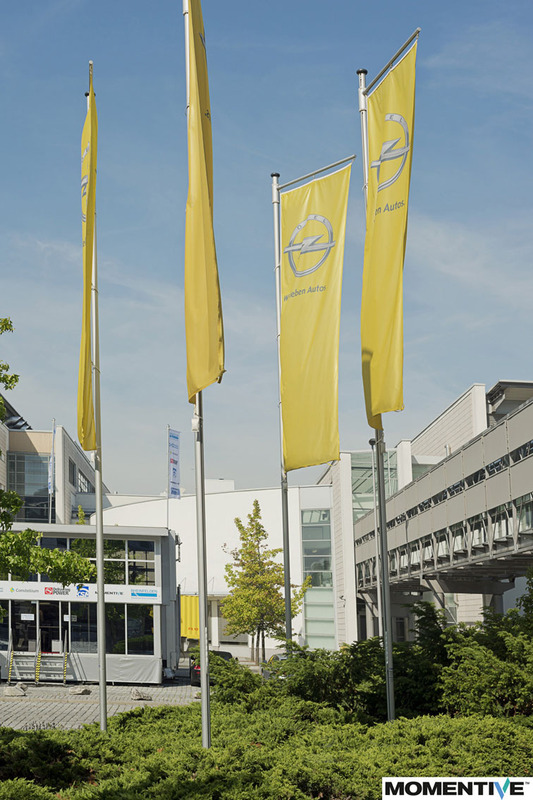 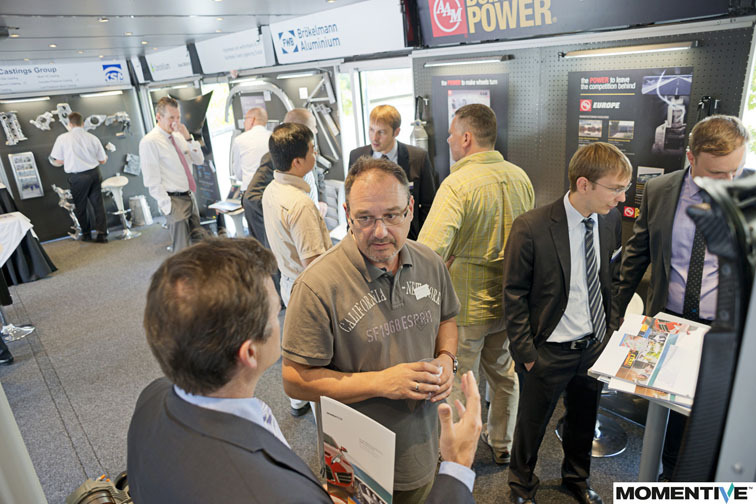 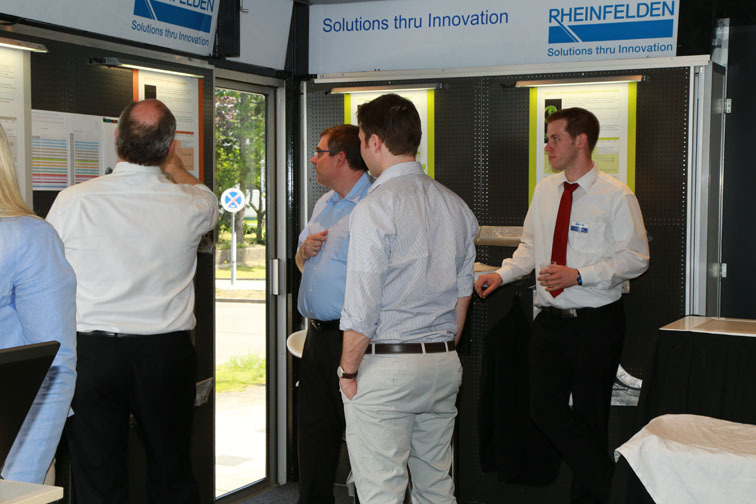 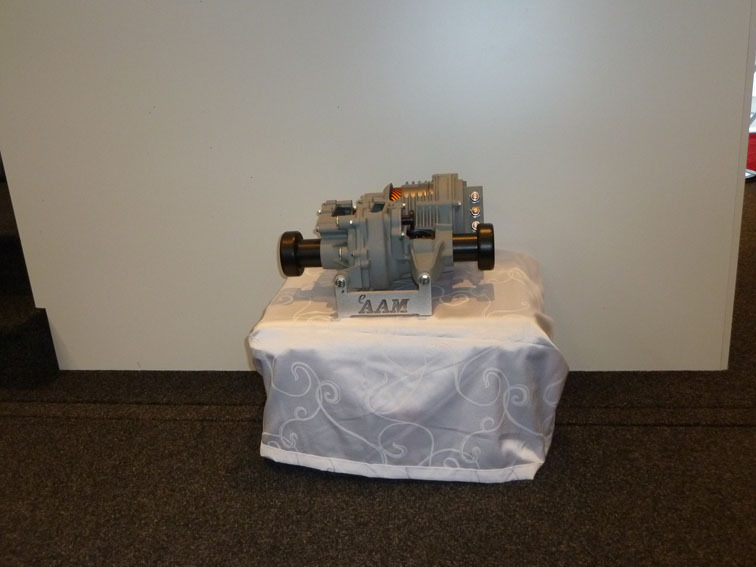 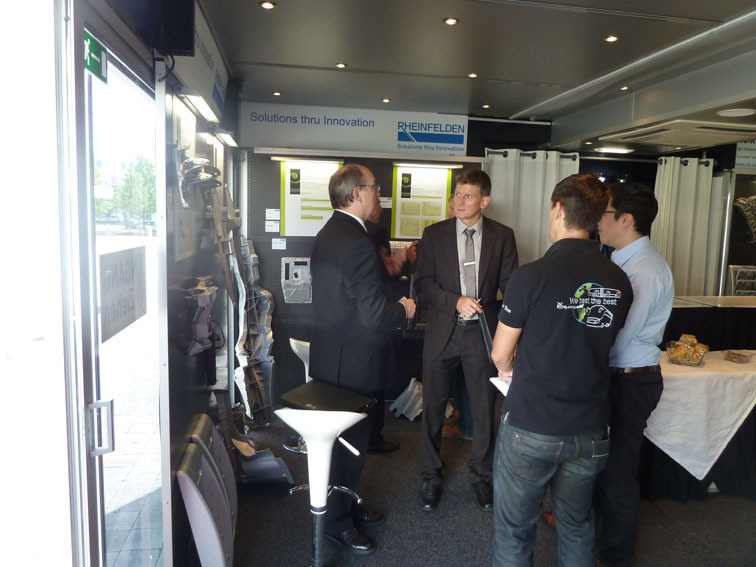 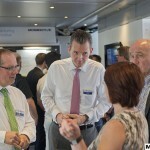 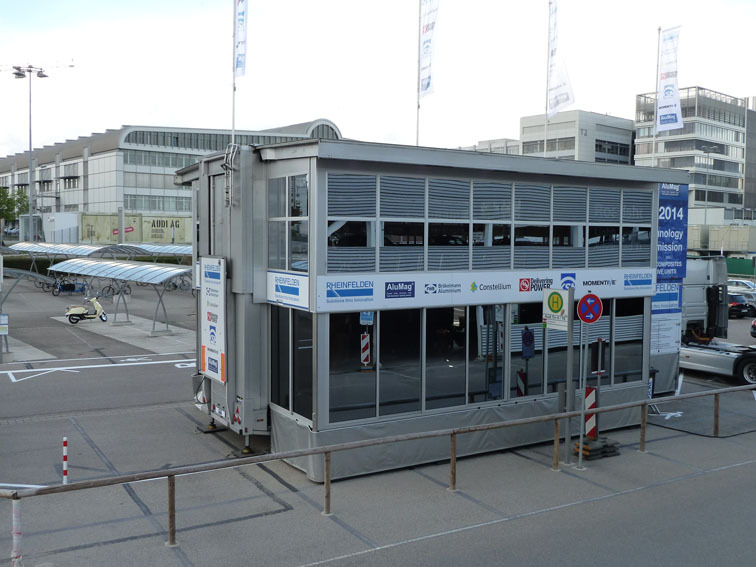 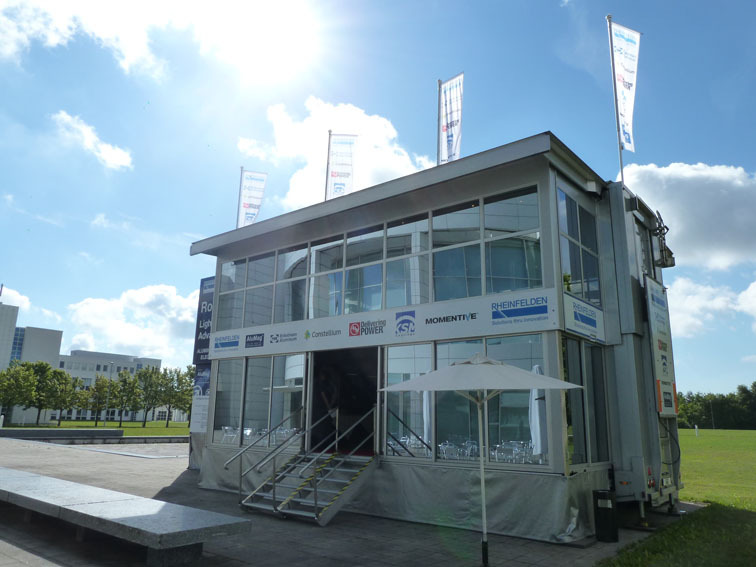 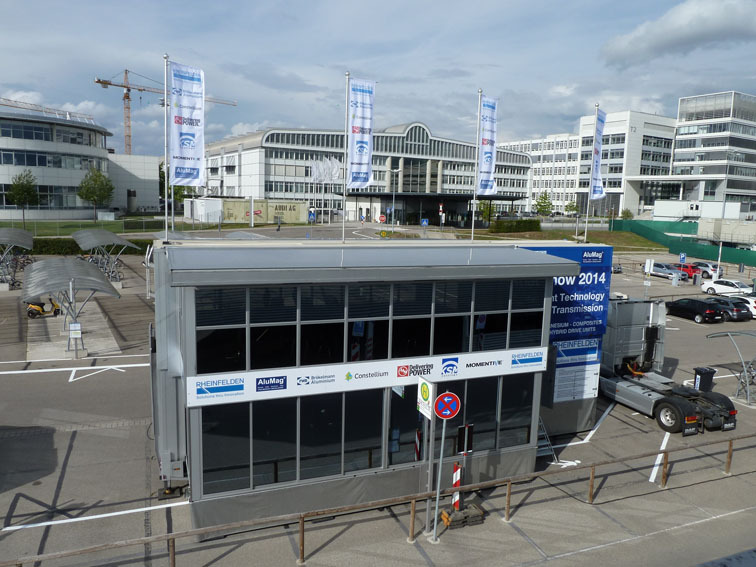 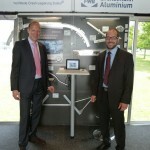 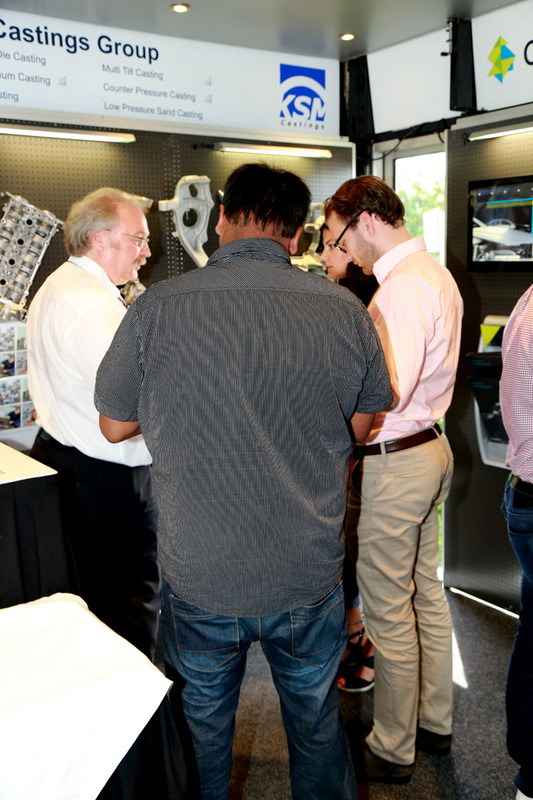 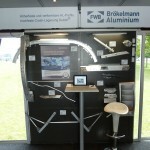 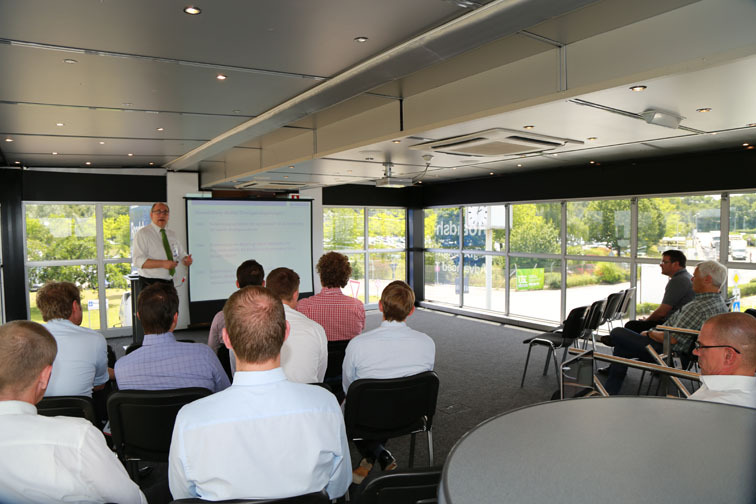 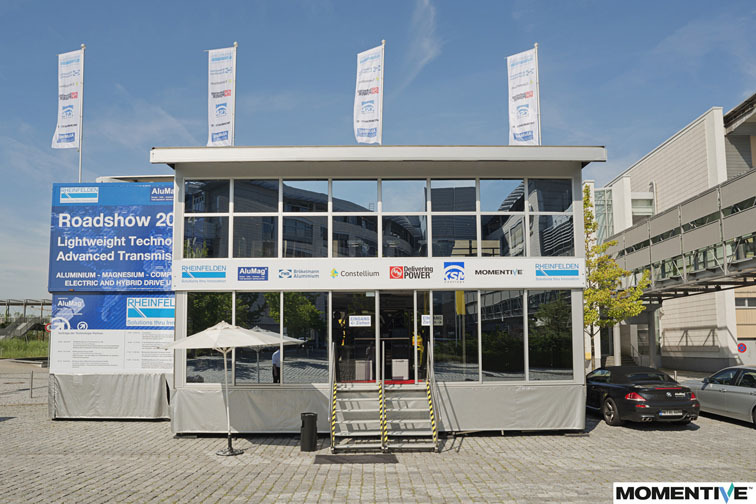 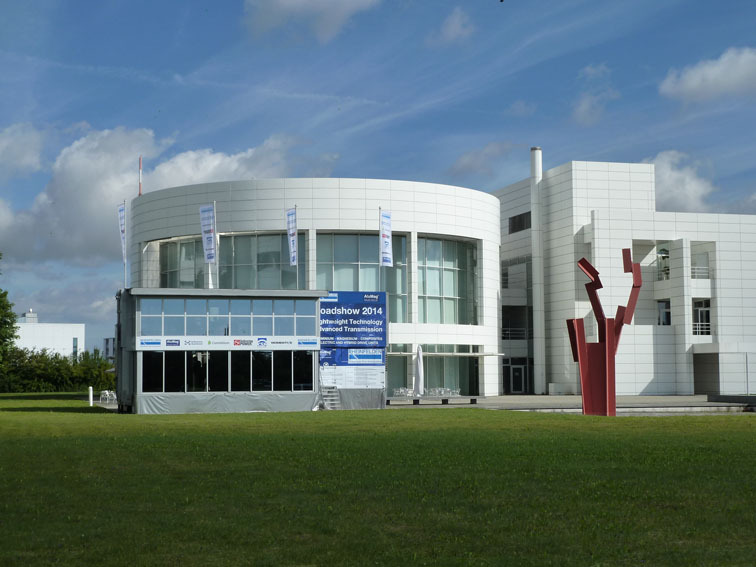 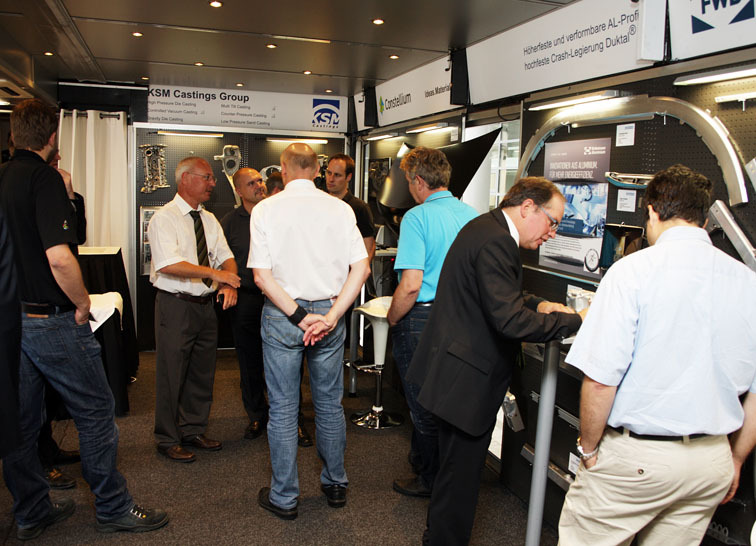 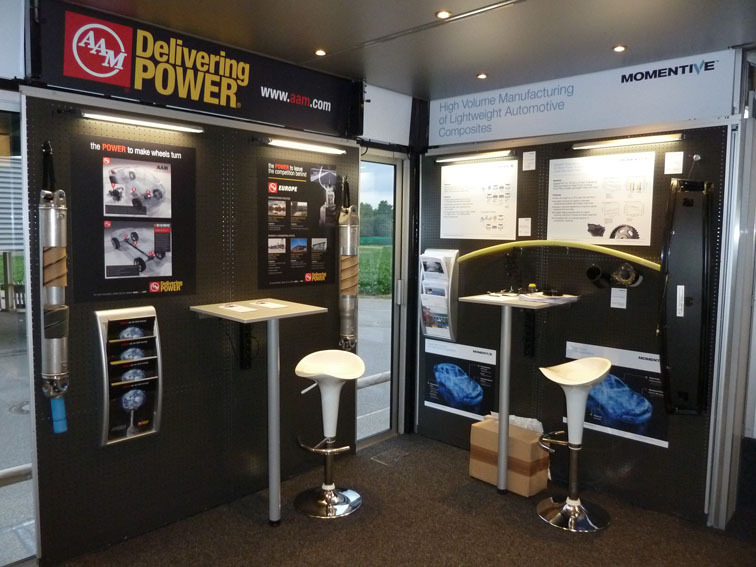 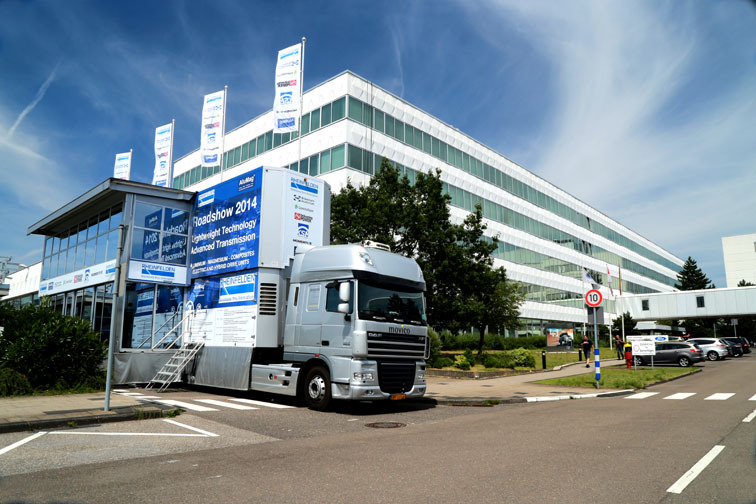 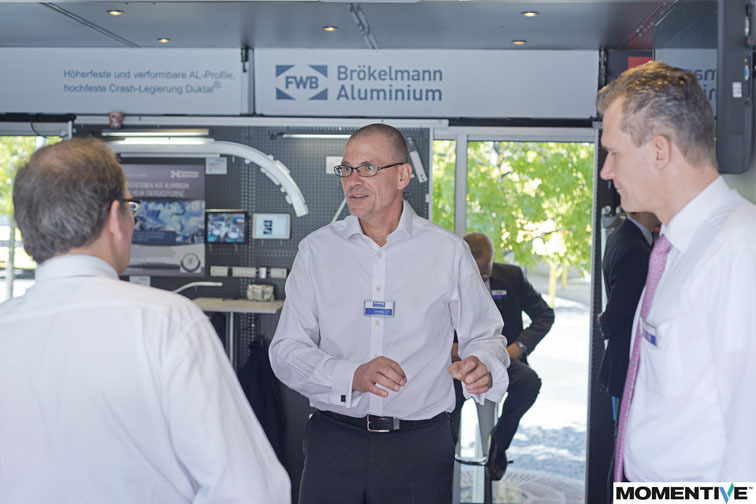 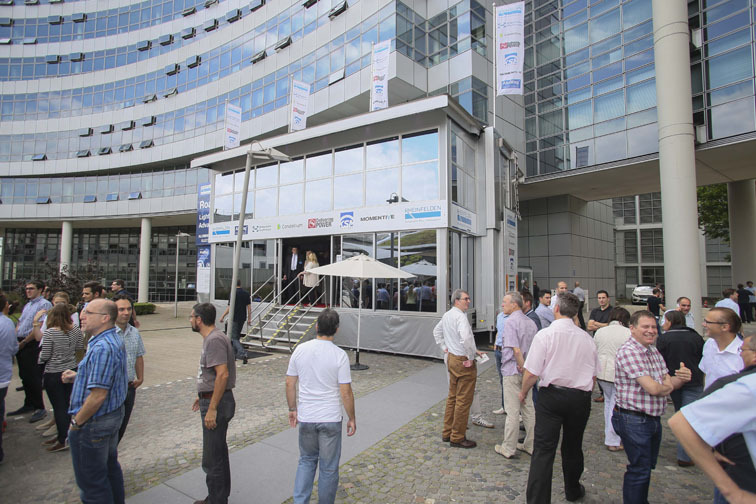 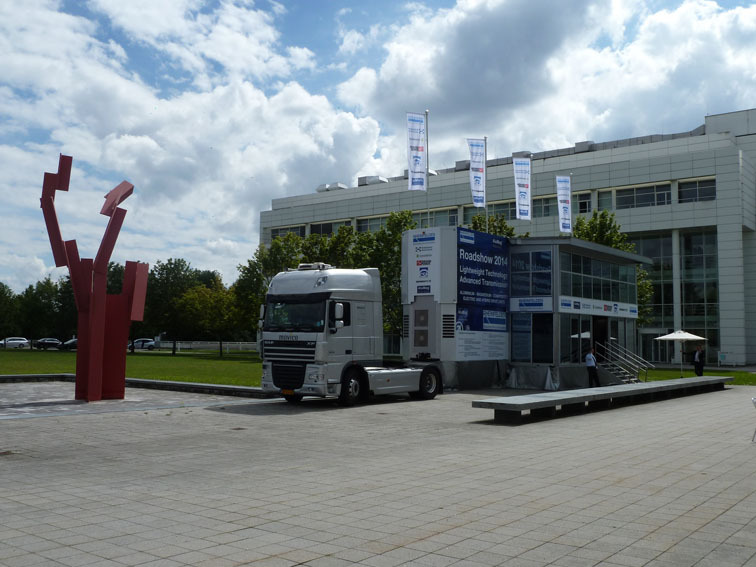 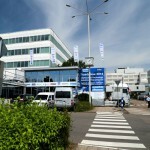 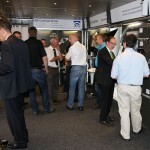 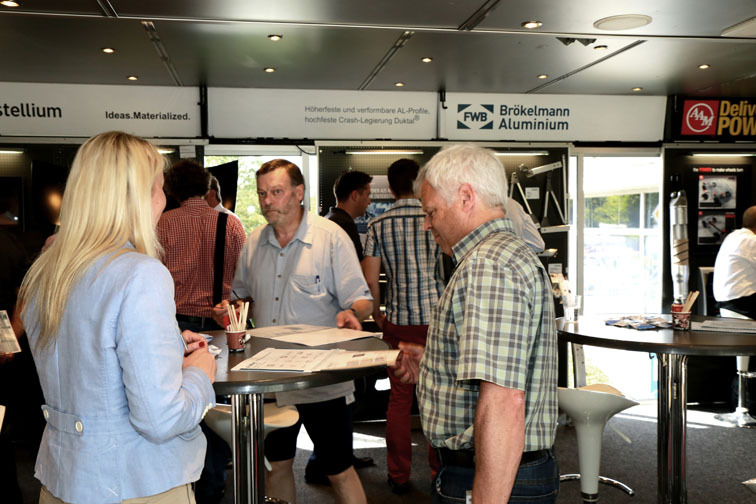 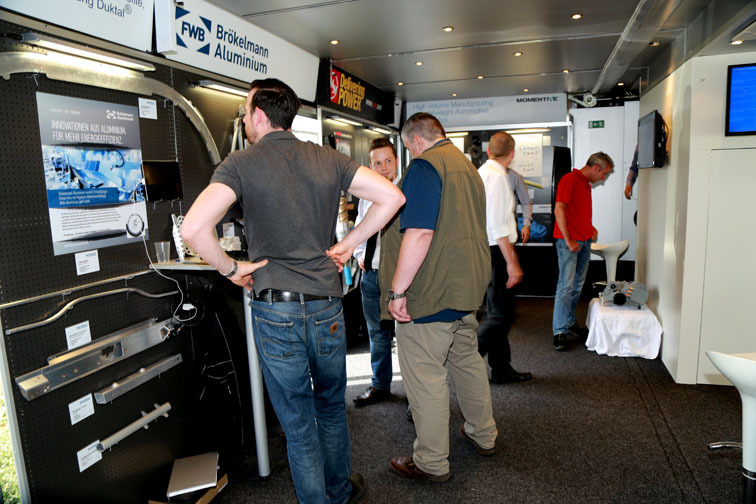 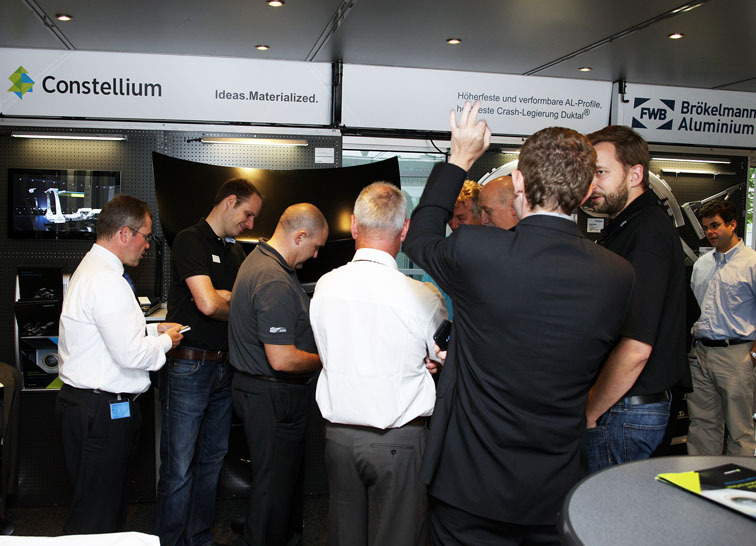 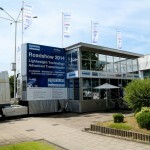 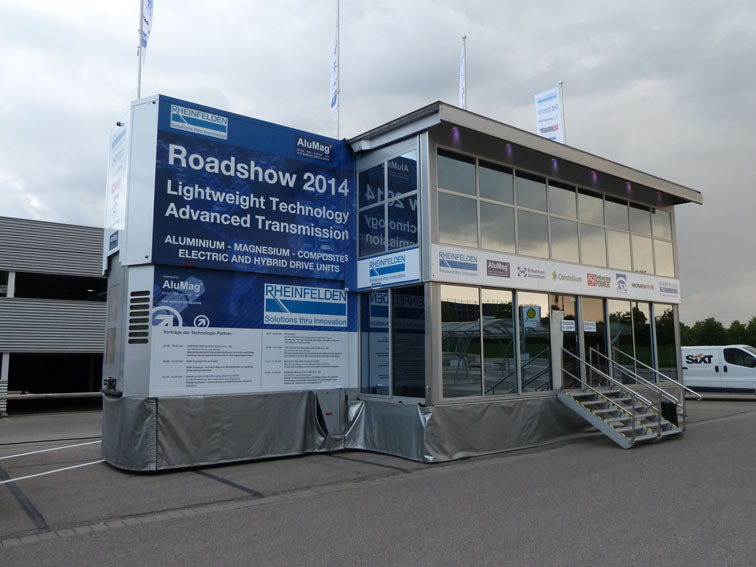 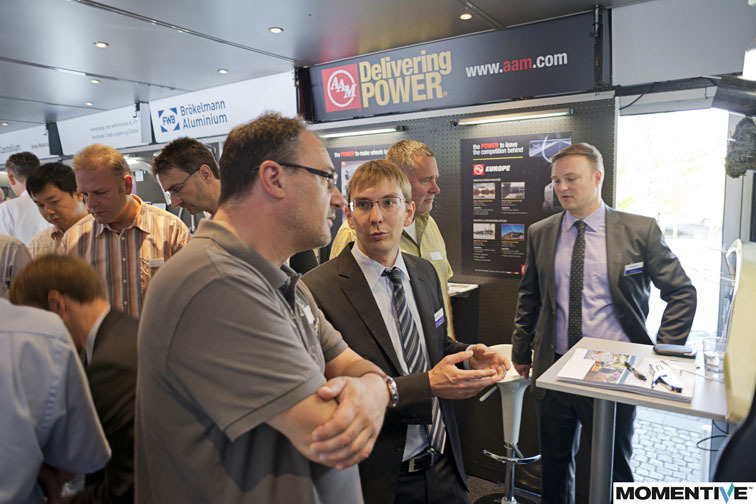 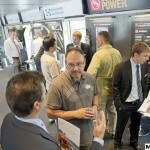 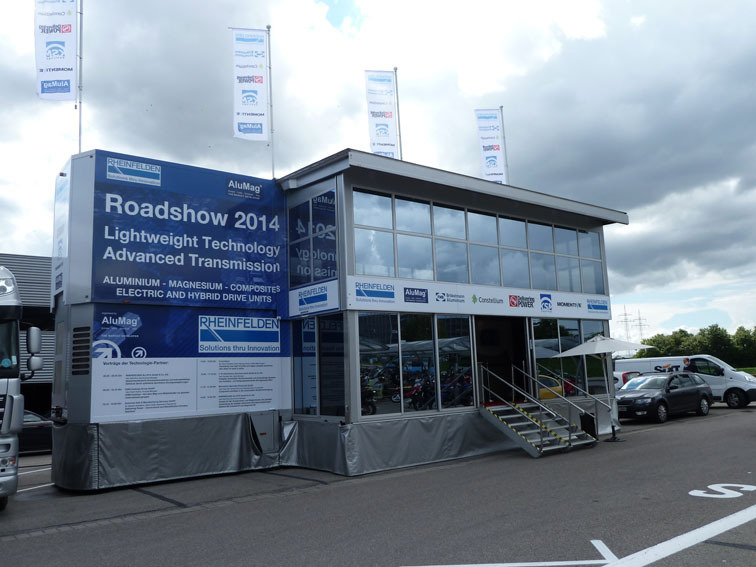 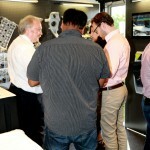 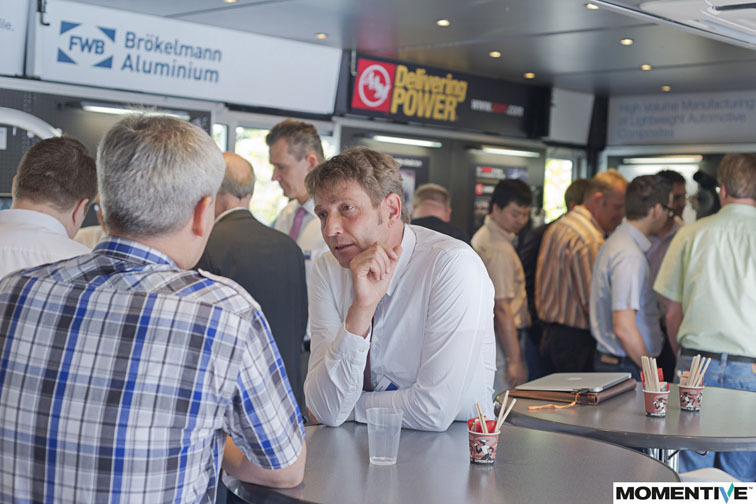 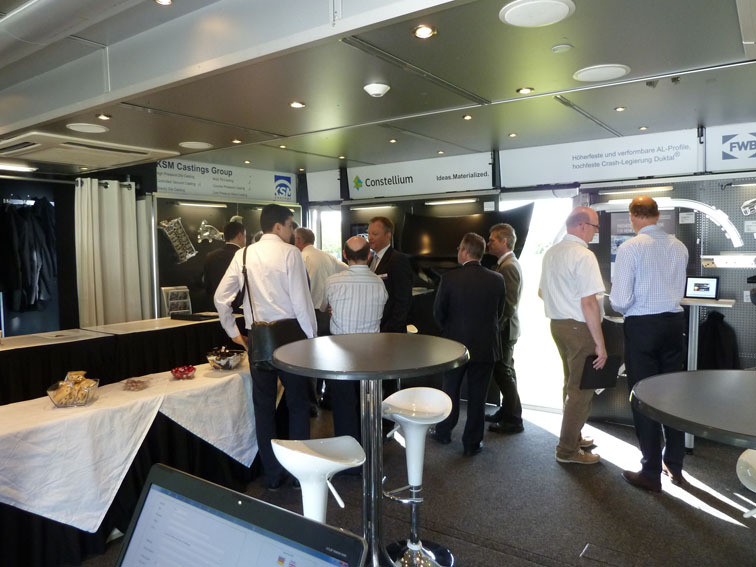 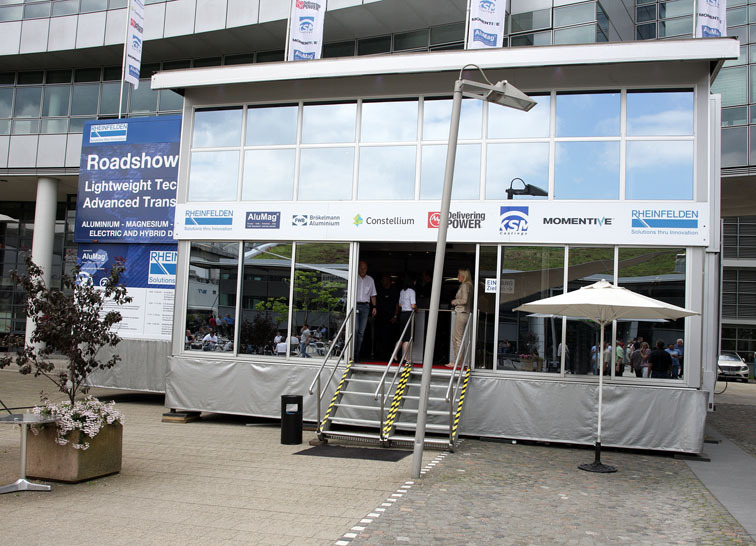 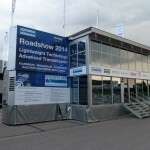 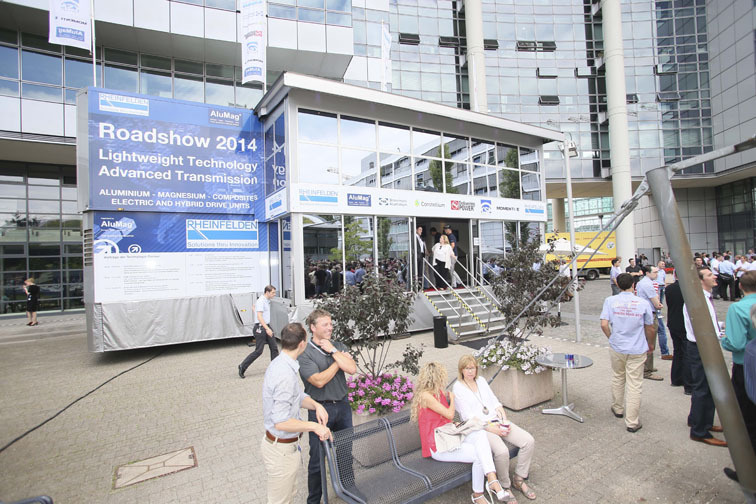 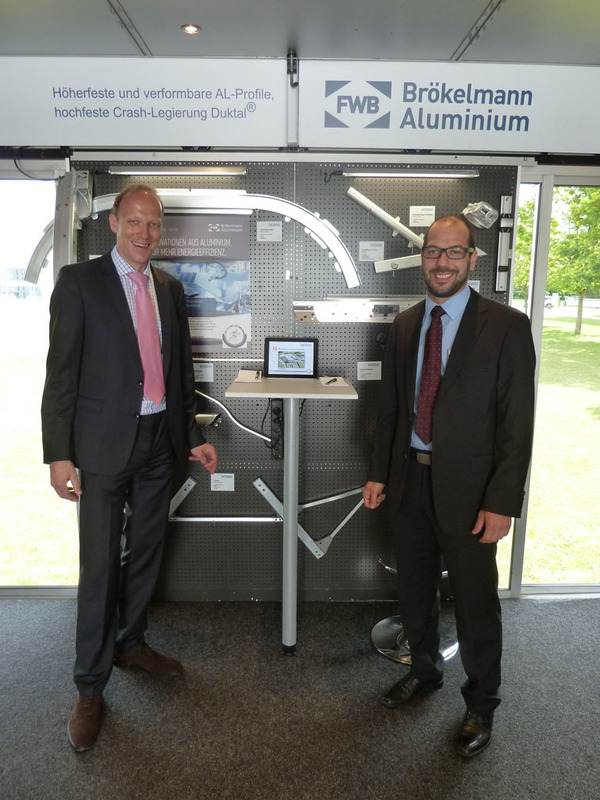 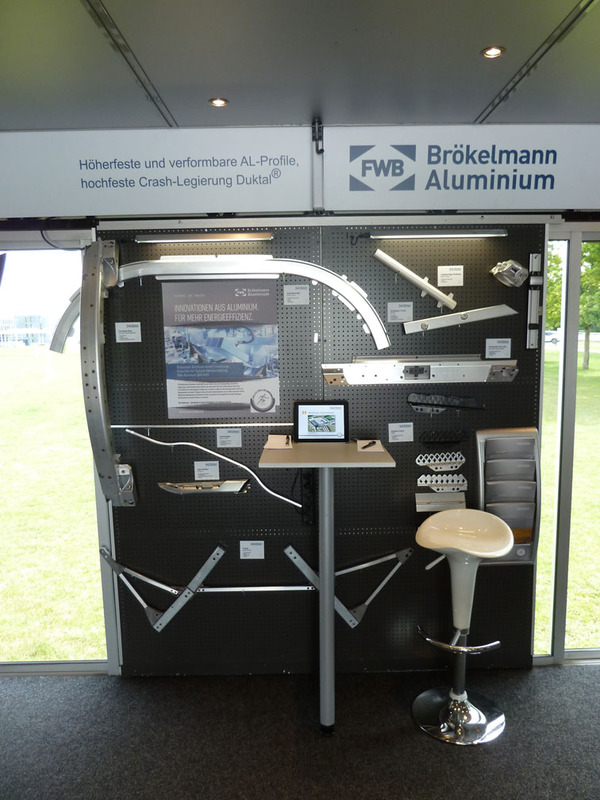 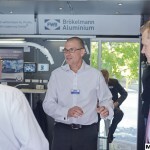 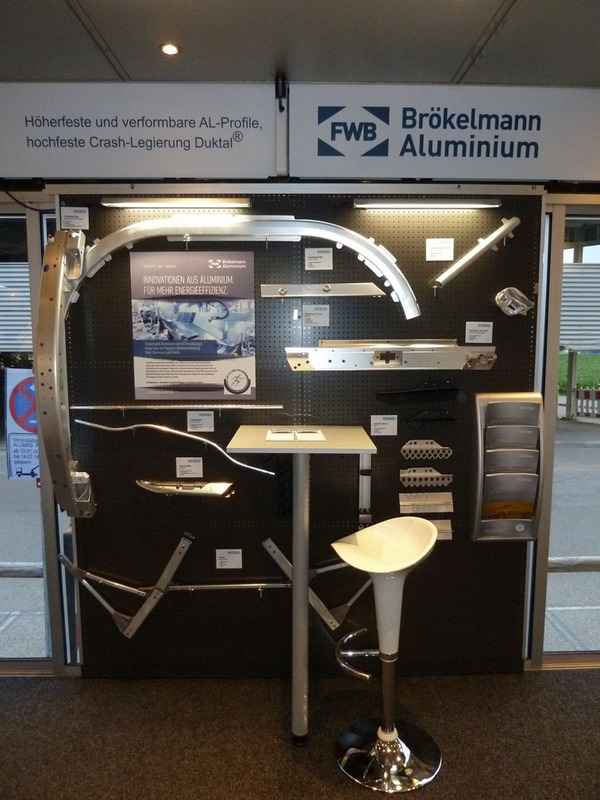 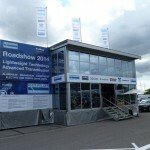 The AluMag Lightweight Technology & Advanced Transmission Roadshow has taken place in 2014, 14th of July – 18th of July in Germany and visited 5 destination within 5 days. 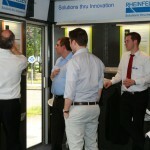 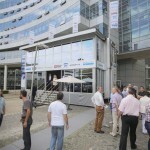 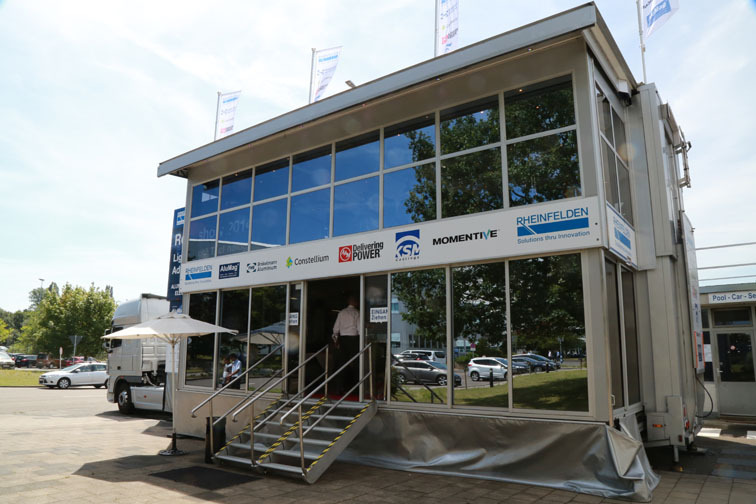 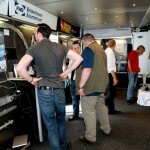 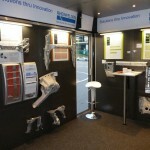 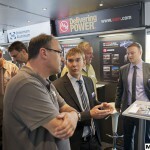 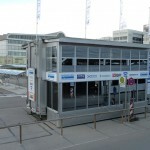 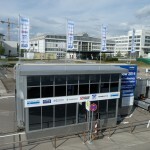 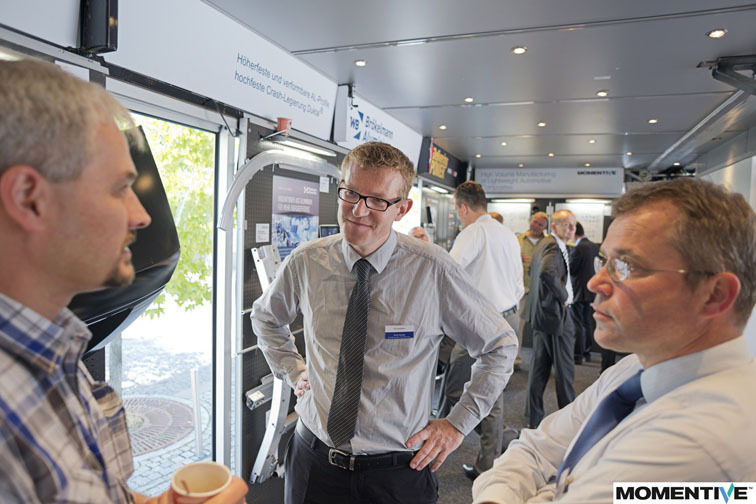 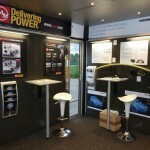 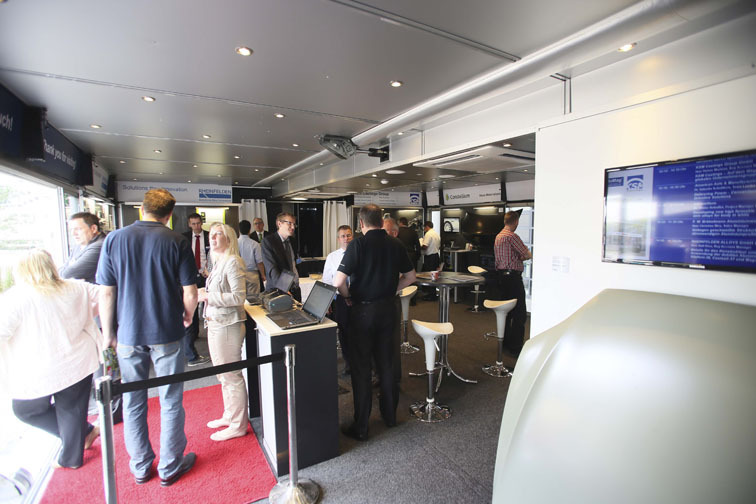 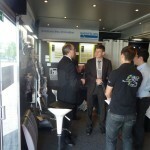 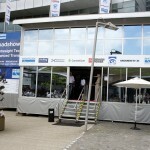 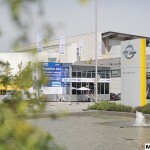 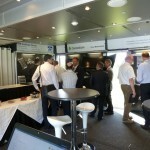 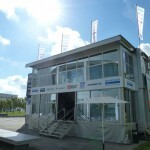 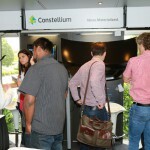 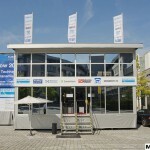 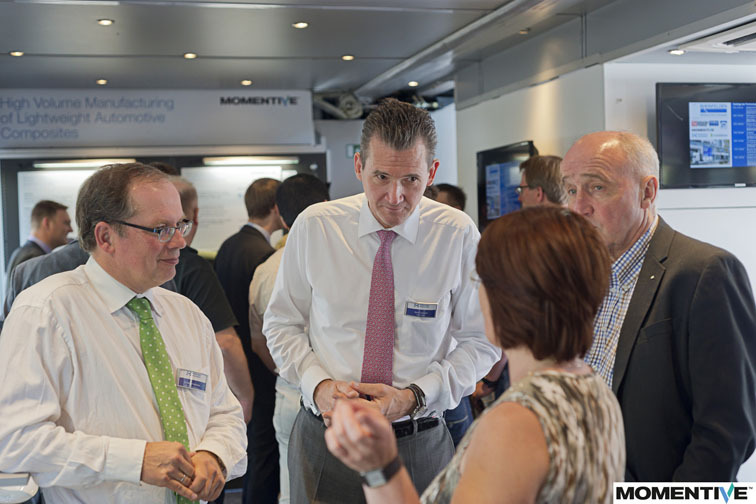 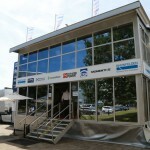 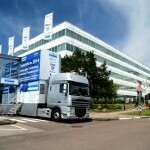 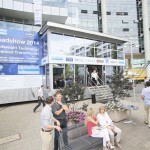 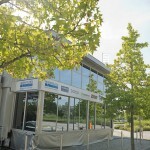 Guests were received on the ground floor of the 140 square meters large, air-conditioned trailer with a product booth from the different technology partners. 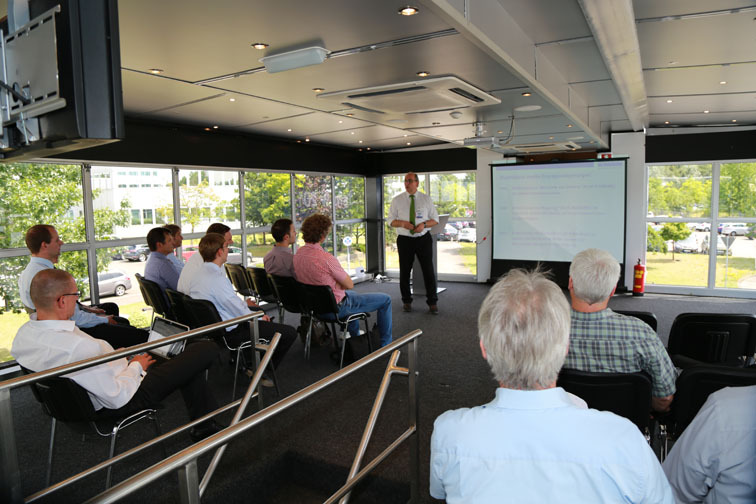 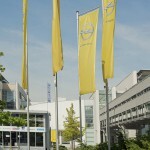 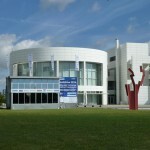 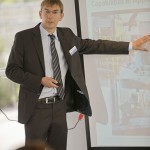 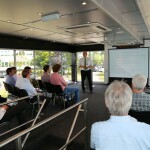 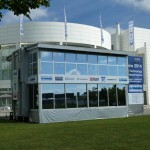 On the upper floor of the two-tier trailer technical papers were moderated presented and discussed. 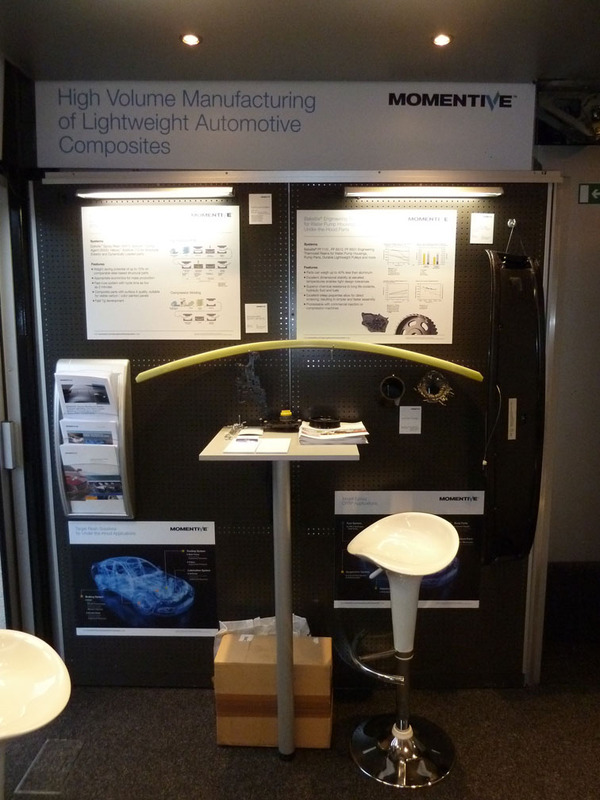 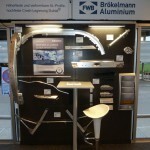 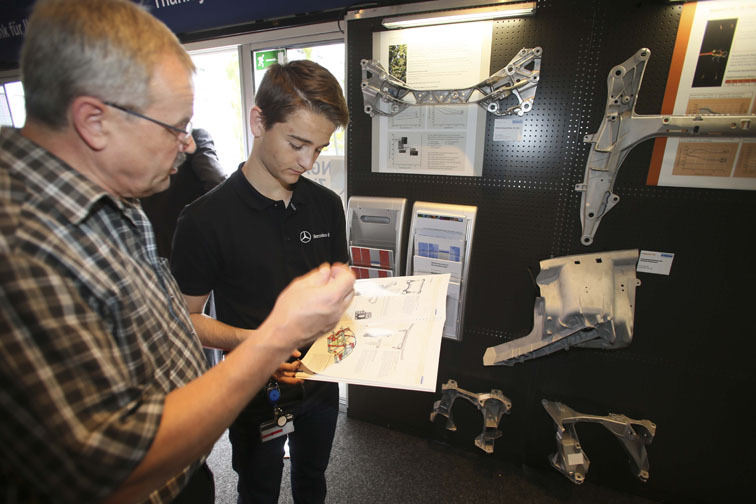 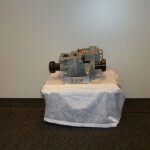 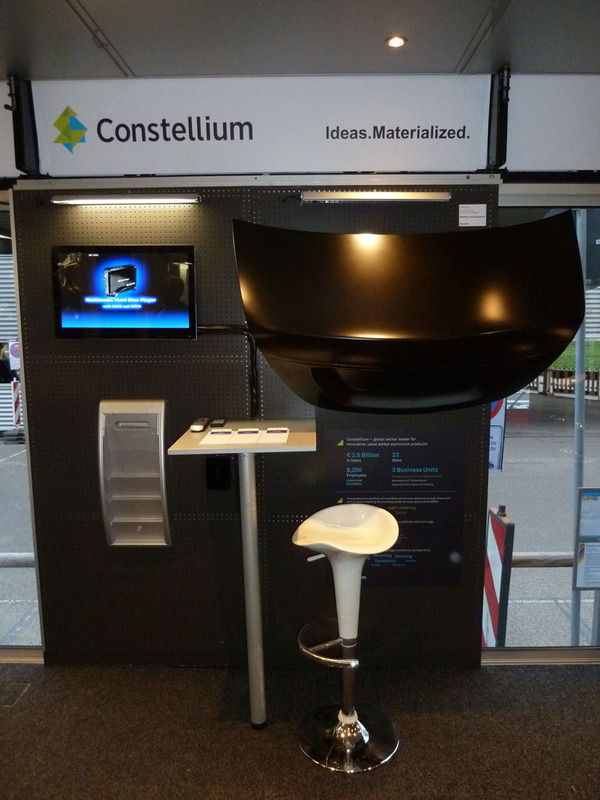 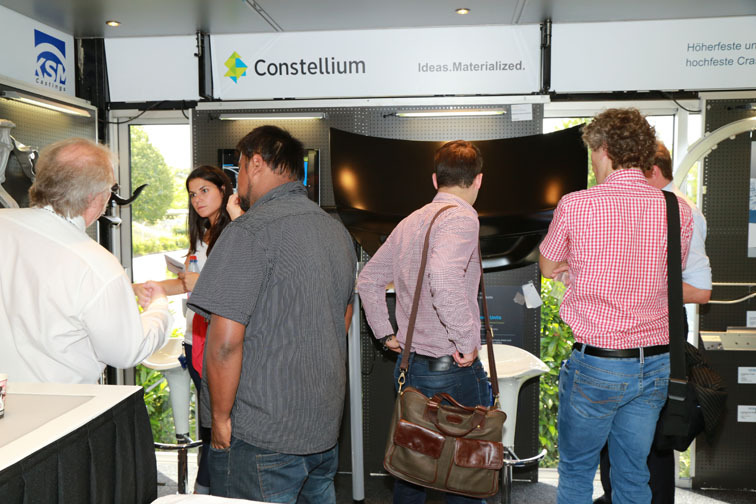 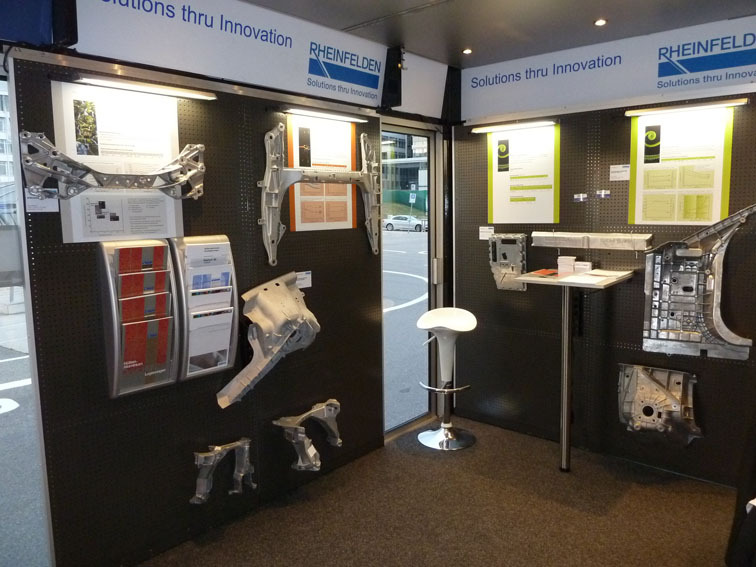 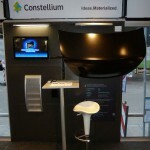 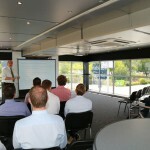 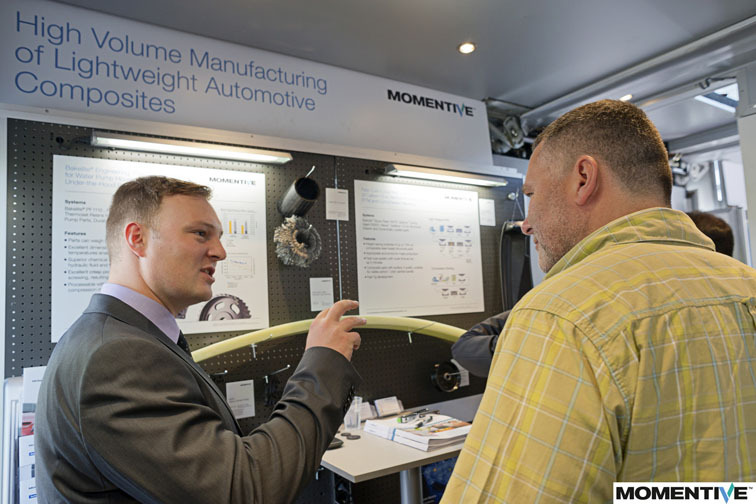 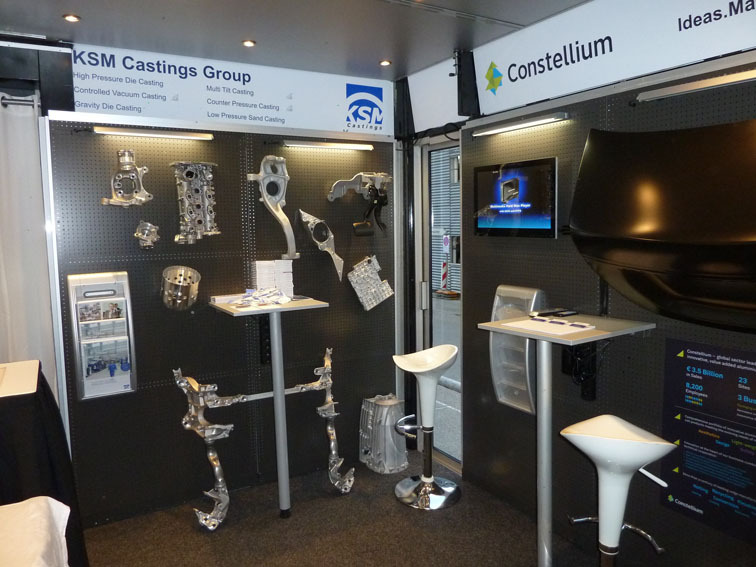 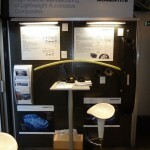 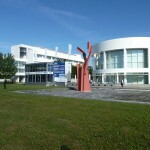 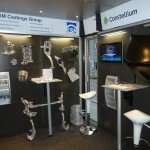 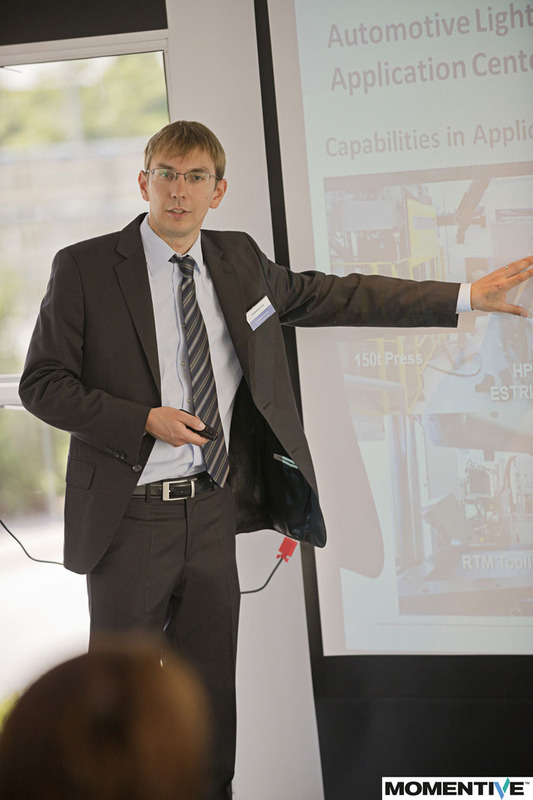 Subject of this Roadshow was the central theme Lightweight for different applications in order to meet the requirements of weight reduction, component solutions and integration.